First of all, how does Desinion work? You post two versions of your logo/illustration/layout or what have you, ask your question (like “Which looks better” or “Which package design would make you buy?”) and get as specific as you want, then wait. It will probably be seconds before you have your first reactions and, not before long, the comments might appear too. About a month ago, I posted two versions of an illustration and got over 1000 “opinions” (A/B picks) and quite a few comments that I found very useful. So why would you use it? Well, it’s pretty cool that you’re able to see the statistics, like gender and age of the people who gave you their opinion, so you can see if they’re relevant to your target. For instance, if your client uses your design to sell chocolate to teen girls, you’ll find most relevant the box of “0-20 years old” and “girls”. Now, if you get the pro version, you get to see detailed stats, like the industry your audience works in and their position. You also get to download your stats as pdf reports and show them to the client/boss/decision maker of your project, in order to sustain your decision with solid arguments (works kinda like a focus group, only cheaper and faster). You will also be able to create private debates, which is pretty cool, because you get to pick your audience and you don’t break any confidentiality clauses on your design contract. With Desinion, you basically created an efficient tool that helps designers get simple feedback on their work, to A/B test and see which version is better (and to my knowledge, there is no such platform around). How did this idea come to you? The idea for Desinion came about when I was briefed to work on an illustration project alongside a fellow designer. We both received the same creative brief, but we were having a series of tense disagreements about which style of illustration would be more relevant and appealing to the audience. We constantly went back to the brief, however we still had different interpretations of what that meant: I believed that the target audience in question – mature and technical savvy – would react better to sharp, crisp and technical illustrations; whereas my colleague believed that the audience would react more positively to illustrations which were more playful, flat-styled, with rounded corners. Our two conflicting opinions caused unnecessary tension which emanated to the final client presentation, in which the client had to make a ‘gut feeling’ decision as to which was more suitable. We then decided to print the two design options onto a piece of paper and carry out a quick straw poll by passing it around the office. This would help us to see which design style our colleagues thought would be better suited to the target audience, and although my design style came out on top, I remember thinking to myself that there must be a better way to evaluate and test design styles. This led me to start to think about creating something to rectify this extremely common problem in the design process. I did my research to see what other design feedback sites existed, and found some amazing sites such as Dribbble, and Behance, which are a great source of inspiration for designers. As good as these sites are, I did think that their feedback section was generally too tame, almost too nice. Most comments provided for the designs on show went along the lines of “Great work”, “Nice job”, “Love this”, and although these comments were fully deserved (as the work on these sites is of a very high standard), I wanted to create something which would be more direct, and that would be more beneficial to the designer. Something which would assist the process of design. Something interesting which would provide the designer and the decision-maker with metrics, comments and statistics on their work. Something which designers could use in their client presentations to either prove a point, back up their original hunch or show an interesting insight on their designs. And so, from that the idea for Desinion was born. Coming up with a name for this thing was actually really difficult. It was easier to think of the idea! I settled on Desinion because it was a mixture of Design + Opinion – which is essentially what the site is about – showing designs and getting opinions. Did you put a lot of thought into it, from a business point of view, when you started Desinion? Or was it more of a “passion-product”? It was easy to think up, as having been a designer for many years I am familiar with the design process and the process of giving and getting feedback on one or two design or illustration concepts. Once the initial idea ‘popped into my head’, I just took what real life experience I had when seeking feedback on my design concepts and put it online. To be honest it still is a passion project. Yes, there’s a business side to it, but all the money that is made from the people who sign up to DesinionPro goes straight back into the product, to produce exciting and necessary new features, to help maintenance and to build the community. The number one priority is to build a great product that designers and illustrators will find extremely useful and love. While the pro version offers great benefits to the designer and also helps us invest in improvements faster, the key is and will always be building a great product. How much work was involved up to this point? How many people worked on it, for how long? There has been a lot of work done on Desinion and there’s a lot more to come. We are going to be rolling out some exciting new features in the very near future – features that will take Desinion to a new level, and be extremely useful to both the designer and the decision maker. Currently, it is just my myself and an exceptionally talented developer Alejandro Pedretti that works on Desinion. I also have a few trusted designer friends that I bounce idea off. Alejandro and I work really well together. I take care of Desinion’s direction and vision for the future, as well as designing everything (both roles and responsibilities are extremely exciting), and Alejandro carefully and thoughtfully develops the site, and well as advises me one technical limitations and keeps my feet on ther ground (i sometimes get overly ambitious and excited). We’ve just broken the 10,000 mark. But we get loads of new users each day. What was the general feedback from the users, so far? We’ve had loads of feedback from many designers and design enthusiasts all over the world. 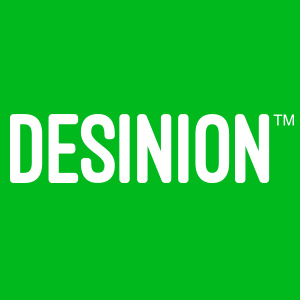 We have also been monitoring twitter, facebook and other sites that have featured Desinion, and the responses and reactions that people have had to the product, and so far we are happy to say that it is proving to be a useful tool for designers. We take immense pride in the positive comments we see on social media, and that we receive via email. Similarly we evaluate and look to learn from the negative or doubting comments that we have seen. We will always listen to feedback from Desinion users. Their needs and suggestions will help shape the future of Desinion. One casing point is that we saw a few comments saying that they liked Desinion, however they would like to give and get more context on the design concepts that they both upload and they offer opinions on, we learn from these comments from Desinion users and now, we are rolling out an exciting new feature that will allow for designers to offer more context on their designs, and people who offer their opinion on designer’s concepts to get more context on what they are opinionating on. What are your expectations with this project, in the long run? There’s a lot that we want to do. As I previous said, Desinion is just under 3 months old, and although we have seen early success, we are still very much in our infancy. We are watching and learning from our users all the time, and we have some super exciting new features and functionality that both designers and decision makers will love. These are in development as we speak, and I can’t wait for our exciting users and future users to access these new features. We will continue to be innovative and build this product with the user always in mind. Currently Desinion offers designers the chance to test one design against another (very much like and A/B testing tool) and get a breakdown of statistics on what different demographics thought about each design – which is a great starting point, and extremely useful for designs and decision makers, however we want to grow the service beyond what it currently is, so there will be more ways to getting useful and constructive opinions, comments, feedback and statistics on your illustrations or design. We are in development with most of the new features and can’t wait to see and hear what the users of Desinion think to the future improvements. If you liked this interview on Desinion, come back this FRIDAY for a full-feature interview with Chris Payne! He will be telling stories about his career as art director and senior designer, as well as interesting things about his design and illustration projects.